I LOVE putting up my Christmas tree. Typically our tree(s) goes up before Thanksgiving. Decorating our Christmas tree is a family tradition that we do together. The problem is that some traditions can be a lot of work and cause mom to stress out! 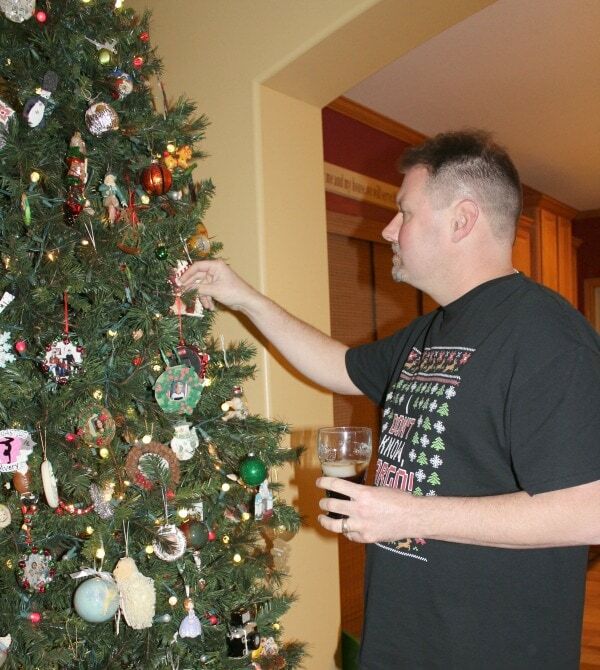 I have found out how to have a stress-free Christmas tree decorating tradition so that I can enjoy the tradition too! Our family is really busy during November and December. I know that many families are booked during the holidays too. Finding a good night to have a tree trimming tradition can be hard. Our oldest child is grown and lives on his own and we have to try and work around his schedule too! I finally found an evening that was free for everyone and I put our tree trimming on the CALENDAR! Yep…we schedule family fun at our house, LOL. I don't want to mess with making a big dinner on the night we decorate our Christmas tree. 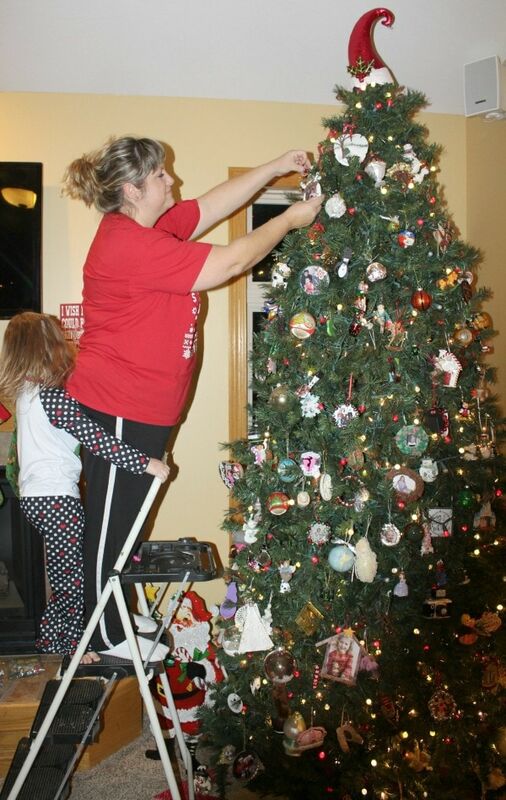 This is one of the biggest ways to have a stress-free Christmas tree decorating tradition!! Plus I like to serve something I KNOW that everyone will LOVE! This is an amazing deal for families. 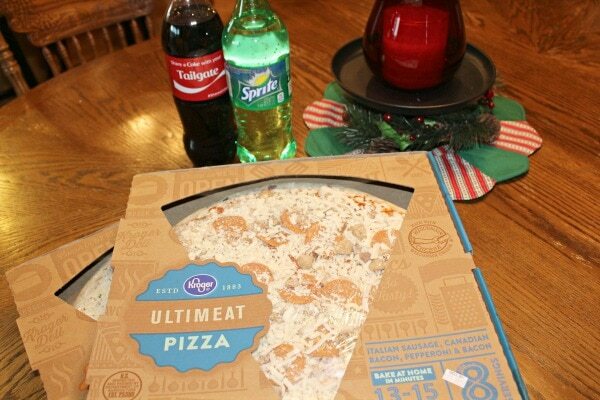 I picked up the Kroger 6 Cheese Pizza and the Kroger Ultimeat Pizza plus Coca-Cola™ and Sprite® in the deli section at Dillons. 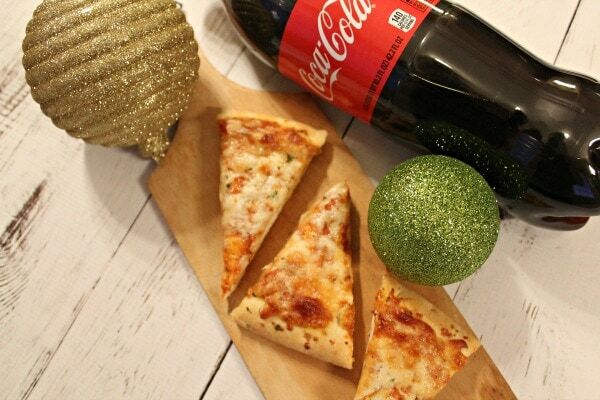 I mean let's face it…no one wants to eat pizza without some Coca-Cola! Plus, with the money I save on the Kroger Pizza Deal I can buy more Christmas decorations! 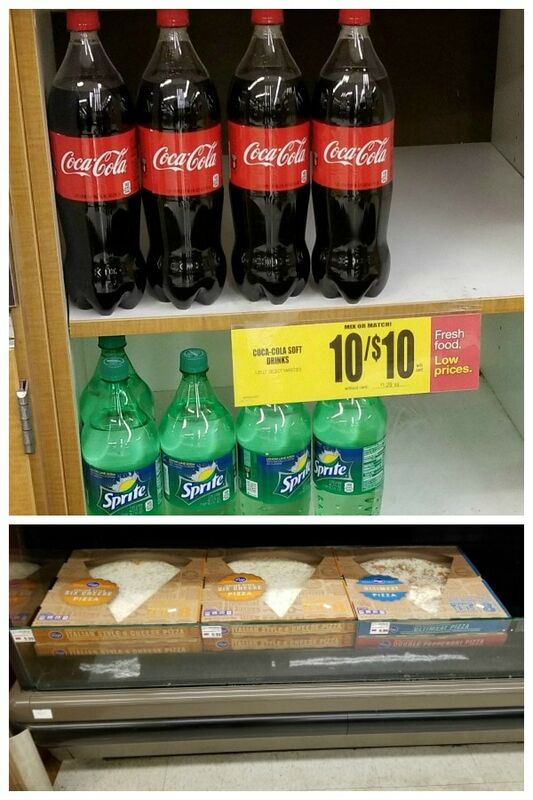 🙂 The Kroger Deli Fresh ready to heat pizzas tasted delicious with our Coca-Cola and Sprite. Getting the tree fluffed (if you have an artificial tree) and the lights on are things I do ahead of time. I like the tree to look just right and I know where I want the lights, LOL. This saves us time the night we decorate and we can focus on hanging ornaments, laughing, eating pizza and drinking Coca-Cola. 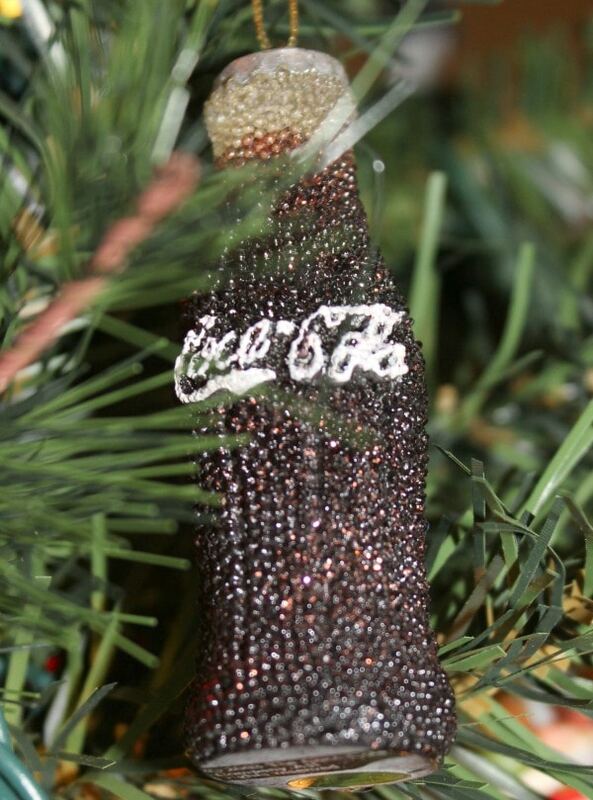 We love to end our Christmas tree decorating tradition with some more Coca-Cola and a Christmas movie. The hardest part is deciding which movie we want to watch!! Usually, someone will be munching on the last few pieces of pizza and we can enjoy our newly decorated tree during the movie. Finding out how to have a stress-free Christmas tree decorating tradition has been a big help to me. Making the evening special without all the stress is just a wonderful feeling. Traditions are priceless and are something your family can cherish for years to come. 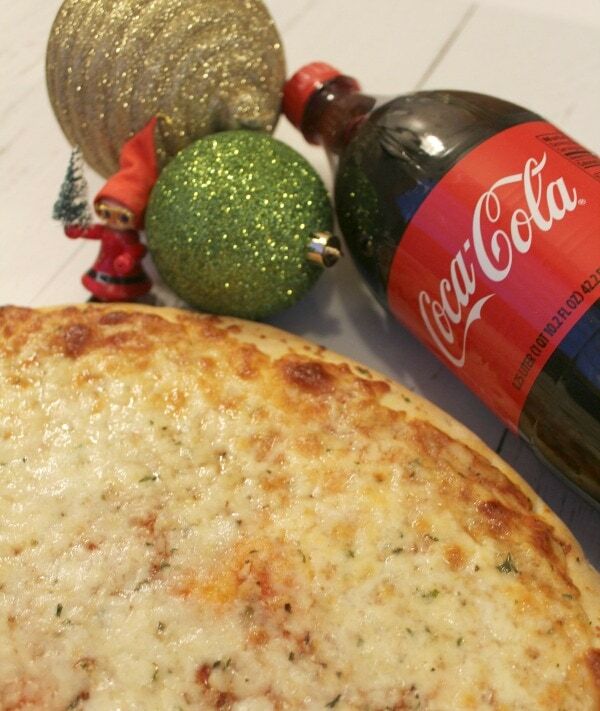 Don't forget to grab the Kroger Pizza Deal when you are out shopping this holiday season! I love the idea of having a go-to delicious, easy meal for the night you put the tree up. It’s so much fun but is a lot of work!